In January of this year, I was honored to be featured in Stress-Free Divorce: Leading Divorce Professionals Speak. Unfortunately, something happened to me that has been happening all of my life: the book was published giving me credit as Robert B-O-R-D-E-T-T-E. I suppose it’s better than Bordebt, but it still makes finding me on Amazon impossible. That’s why for today’s post I am republishing the chapter I wrote for the book in its entirety. Divorce is a difficult transition for all couples, but the process does not need to be a bitter struggle. 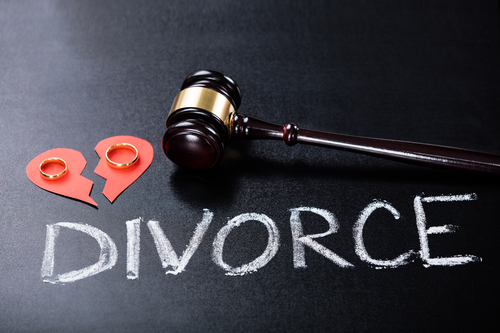 Using divorce mediation allows you to end your marriage without a lengthy court battle. Mediation puts divorcing couples in control of their fate and gives them the power to make important decisions concerning their children and property. It is growing in popularity and in many cases courts require couples to attempt mediation before moving forward with litigation. What Does the Mediation Process Entail? Mediation is a controlled discussion intended to create a jointly beneficial resolution for divorcing couples. 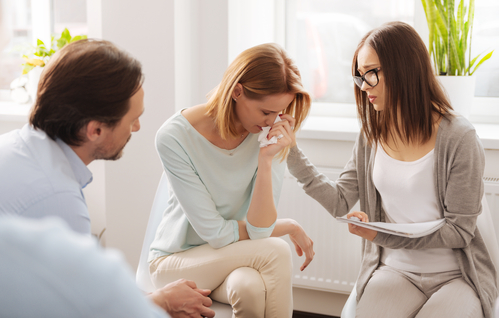 It is facilitated by a neutral third party mediator and might include individual representation for each spouse, as well as expert resources available to answer questions regarding real estate, finances or mental health. Most mediated divorces are completed over the course of several sessions that take place in a neutral location, typically the mediator’s office. Mediation begins with the decision to divorce and then the choosing of the mediator. There are many qualified mediators. Couples can be assigned a mediator by the court or can find a mediator on their own. Typically, the mediator’s fees are split between the spouses. Mediation begins with an initial meeting of the divorcing spouses, their attorneys if they have chosen to use individual representation, and the mediator. Some mediators refer to this initial session as orientation because it allows spouses to become familiar with the mediation process. All mediations are unique, but there is structure in place to help guide the proceedings. This initial meeting also includes advice on communication. The goal of mediation is for couples to work through their differences and reach a resolution that is mutually beneficial and ideal for their family, which requires listening, open-mindedness and flexibility. These things are explained during the initial meeting. Additionally, the first mediation session provides an opportunity for each spouse to state his or her case. This might be done alone with the mediator, in session face-to-face with both spouses present, or in a combination of the two. The mediator usually asks clarifying questions and discusses issues that are points of agreement and contention. If any of the issues are already settled, those are put aside to be included in the final agreement. Once a mediator has a sense of the issues in dispute, he or she discusses a plan with the divorcing spouses for resolving these issues. Additional information might be required for further discussion, so spouses are sent away with the task of gathering documents or anything else related to the issue. Often, information regarding real estate or financial matters is included in this category. Additionally, during the initial session, mediators review the paperwork and various documents associated with the filing of the divorce. 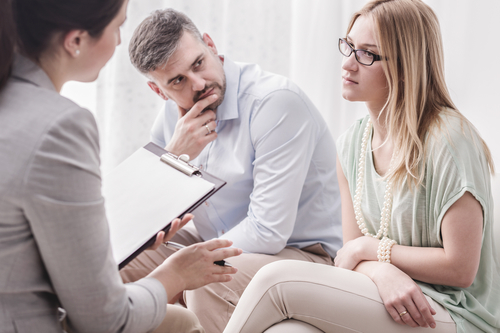 If paperwork is incomplete, mediators can help couples with these materials, as long as no advice is given in favor of one spouse or the other. Mediators are legally required to remain neutral at all times. In subsequent mediation sessions, mediators work with spouses to discuss the issues in dispute and potential solutions. Spouses are encouraged to share plans for resolution and be open to compromise. These sessions are an opportunity to truly explore marital issues, such as property, joint investments, debts and loans, and custody of children (if any) and determine how these issues will be handled once the marriage has ended. Each issue might be addressed in different sessions or can be combined into as few sessions as possible. The initial meeting will have addressed a schedule and the divorcing couple is given some say in how the proceedings unfold. Mediators prepare for subsequent meetings by reviewing the important aspects of a divorce. They analyze finances and examine the overall value of marital property. They consider where each spouse is in regard to supporting himself or herself and consider how long it would take a spouse to become self-sufficient. They take a significant look at the health and well-being of the children in the family and consider what each spouse is requesting in relation to what the children want or need. The mediator reflects on the issues discussed during the initial meeting and how these discussions were handled. The mediator’s purpose is to facilitate communication and determine if the solutions spouses consider are reasonable. To do this successfully, they must have a complete understanding of the situation and be prepared for any potential challenges. A mediator’s job is not to force couples into agreement or make decisions for them. Instead, mediators guide divorcing couples toward fair, satisfactory resolutions. Mediators can make suggestions, but they cannot offer legal advice to either spouse or tell either spouse what to do. Once the mediation is successfully concluded, the mediator draws up a written document known as the Memorandum of Understanding (MOU) that includes the details of the divorce agreement. Each spouse has an opportunity to review the documented plan with his or her personal attorney and then an official divorce agreement is drawn up by the attorneys. A mediator’s job is not to force couples into agreement or make decisions for them. Instead, mediators guide divorcing couples toward fair, satisfactory resolutions. The length of mediation varies from couple to couple. Most sessions last a few hours and there can be as few as one session or as many as needed over the course of several weeks. The length of mediation depends on the complexity of the issues and the willingness of the spouses to come to agreement. In nearly every instance, though, mediation is faster than traditional litigation. 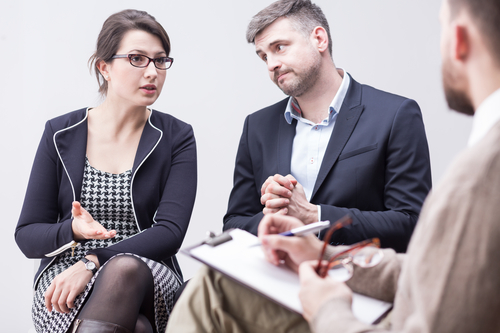 Mediation continues to grow in popularity as a means by which couples can divorce without the bitter drawn-out litigation process. In the United States, nearly half of all first marriages end in divorce and nearly every one of those that are mediated are settled successfully. Mediation is efficient and gives spouses control over the outcome of their situation. These benefits result in feelings of satisfaction and a greater likelihood the divorce agreement will not cause problems down the road. Have you decided divorce is the only way to bring your marital strife to an end? Has your spouse presented you with a petition for divorce? Mediation can help you resolve even the most contentious matters faced by you and your soon-to-be former spouse. To ensure your mediation is successful, you need an experienced mediator. 2. Why should I choose the collaborative process? To preserve family relationships is a simple answer to the question of "Why". "Through the collaborative process we learned to work together in ways that will continue to benefit us and our children and with the help of the financial expert, we even saved money". The client is a vital part of the settlement team and has a greater sense of involvement in the decision-making which affects their lives. The non-adversarial nature of the collaborative process shifts decision-making into the hands of the clients where it belongs, rather than into the hands of a third party (the court). As in traditional family law/divorce cases, your lawyer supports only you and your spouse's lawyer supports only your spouse. In the collaborative process, both lawyers are trained to consider the other party’s perspective in order to help both of you reach agreements that accomplish the goals of both parties and preserve the welfare of the entire family. Before the process begins, the lawyers and clients formally contract to work together to resolve the issues of the case. Both lawyers contract not to take the case to court. They sign a contract titled "Participation Agreement". 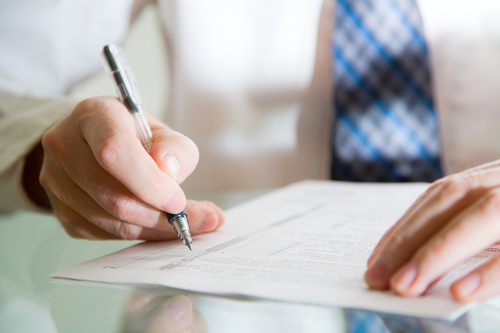 In traditional litigation, the divorce process begins with the filing of a lawsuit. The collaborative process begins with the signing of the Participation Agreement. The parties also sign a document "Statement of Understanding Among Team Members". This document contains the commitment of the professionals and the parties to work together as a team with the common goal of resolution of all issues in a way that best meets the needs of all involved. The collaborative process differs significantly from the traditional litigation process. After both parties have each retained their collaborative lawyer, the lawyers contact one another to "triage" the case. The lawyers immediately begin to address the needs of their clients by discussing their clients’ needs and desires with the other lawyer. The lawyers schedule an initial 4-way meeting which includes both lawyers and both parties. An agenda that outlines the items that will be discussed at the first meeting is sent to both parties. Any pressing issues will be covered in that first meeting after the required participation agreements are signed. The collaborative process begins only with the signing of the Participation Agreement and Statement of Understanding by the attorneys and parties at their first 4-way meeting. After that first meeting, depending on the needs and desires of the parties, they may work with their coaches, the child specialist and/or the financial neutral before seeing their attorneys again. In this way, costs are minimized as the professional with the appropriate expertise deals with their particular area. For example, the coaches will help the parties address their communication issues in order to assist them in creating a parenting plan for their children. The child specialist will hear from the children and offer feedback to the coaches and parties to insure that the children’s developmental needs are considered. The financial neutral will gather information from the parties and work with them and the attorneys to craft a financial plan based on a realistic financial picture. The professionals practicing collaboratively commit to the process as well as its outcome. Their training and education encourages mature, cooperative and non-combative behavior. They contract not to participate should the case go to court and in that way have a stake in the success of the process. Collaborative practitioners expend as much effort working toward settlement of your case as they would to prepare for and conduct a trial. Together with their clients, the collaborative professional expends his or her time and energy on settlement, parenting plans, financial analysis, and education. The parties provide complete, honest and open disclosure of all relevant information without formal proceedings. The interdisciplinary network of divorce professionals and their clients are committed to finding creative ways to achieve and implement a settlement that will be best for the family.